Background/Info: Davide Del Col better known as the operator behind Antikatechon is back on track unleashing his newest opus. The Italian dark-ambient musician feels comfortable unleashing his work on the Polish label Rage In Eden. Content: This new work feels like having been composed on top of an ocean filled with boiling noises. We’re visiting a dark-ambient space accomplished with multiple sound treatments and noises. The experimental touch has been injected by the field recordings and other kind of noise experiments. Low electronic sound resonances accentuate the dark-ambient approach. Some of the tracks have been built up in an interesting progressive way to slowly reach an ultimate point carried by a kind of inhibited noise production. I also noticed interesting guitar playing adding an elevating dimension to some passages while another noticeable part consists of the French spoken monologue running through the second cut. Notice by the way that 2 more familiar bands from the Rage In Eden Roster contributed a song to the album. I’m speaking about Day Before Us and Nimh. + + + : This album definitely tastes like a pure dark-ambient work, but there’s a different approach in the global conception, which is mainly due to an impressive arsenal of noises and field recordings (or samplings). There’s an interesting progression running through the cuts. 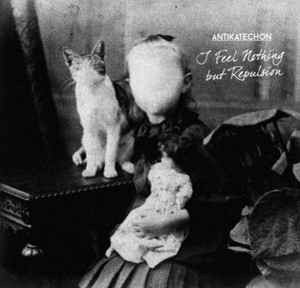 – – – : I would say that has Antikatechon clearly has accomplished his goal; this is a noticeable release in the genre and also confirms the progression of this band, but I’m missing a real climax to make this album totally immortal. 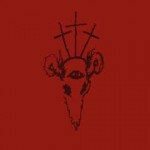 Conclusion: Antikatechon is one of these dark-ambient formations deserving more recognition. This album simply reveals the huge potential of the artist although I’m still waiting for that unique and outstanding opus. Best songs: “And All My Dreams, Torn Asunder”, “I Feel Nothing But Repulsion”. 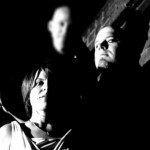 Electropop act Snuttock hits back with 'Rituals Redux' - listen now to the first songs including a Leaether Strip remix!